As I write this, I am sitting on the sofa watching the F1 race from Monaco, there are about 18 laps to go and unless a car breaks or crashes or some technical problem intervenes then the result is set. The top ten has been set for something like the last fifty laps. Initially there was a great deal of ‘fun’ when Alonso, who started in the pit lane, picked off car after car and pulled the same move on several cars, before a safety car session allowed him to jump up the order and create a Ferrari-McLaren-Ferrari sandwich. Given that Alonso is one of the absolute best drivers in the world and he is was in arguably the most expensive cars on the grid he really struggled to get by cars that are several seconds per lap slower. Typically he would catch a car that was five seconds or more up the road in a single lap than spend two laps trying to find his way around it. The safety car sessions gave Alonso probably as much as thirty seconds back at one time. 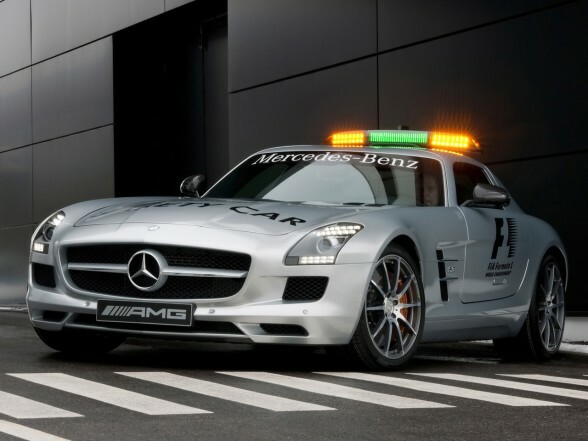 Talking of the safety car, it was deployed more times in this race than any race I can remember in a while and it is still my absolute favorite safety car of all time. On lap 75 of 78 the safety car is back out ! A Lotus tried to mate with an HRT causing all manner of chaos with just a couple of laps to go. The move looked like a legitimate one but nobody gave an inch. Which is just as I would have it – if you are racing for position you should not make it even slightly easy for a competitor to overtake you. However I am not so sure that you should get involved in a major accident that brings out the SLS. Unless of course, you are like me and you are smitten with it. I wonder if Damon Hill, one of the stewards this weekend, will still hold any animosity towards him after all these years ? The start of the race did not see the almost expected first corner drama, luckily, everyone managed to get safely away although a couple of drivers had terrible starts, Niko Hulkenburg, the young Williams driver took a long time to get off the line, then managed to cause the first safety car session of the day by stuffing the FW32 into the wall in the tunnel. The crash looked extremely violent, speeds are somewhere north of 150mph at that point, so to walk away from a crash that relieved the car of its suspension was a testament of the build quality. Jenson Button retired with an over heating McLaren in the subsequent safety car session and Alonso made his only pit stop for fresh rubber. As the action finally started, the cameras concentrated on Alonso as he picked off the back markers, his efforts looked valiant, but all the time the leaders were building an ever increasing gap. A flurry of pit stops – to switch to the ‘prime’ tires – suddenly saw Alonso in sixth place on lap 15 behind Hamilton. A position that he would hold all the way up to the last few yards. Lap 31 saw the second safety car deployment, Barrichellos Williams suffered from a ‘technical failure’ sending him spinning out at very high speed and destroying the second Williams of the day. This was a shame as he had looked likely to bring home a top-ten finish. Again he was able to walk away from the crash and after a few laps behind the safety car, racing was once again resumed. The net result of this safety car session was to erase the lead that Webber had built and to close the gaps throughout the field. A few laps later we got to see the safety car again, a loose drain cover gave us another opportunity to watch the Silver SLS lap ahead of the F1 cars once more. Again the field was closed up and again we all hoped for a little overtaking, but by this time the order was really set. The final few laps were fairly dull, the F1 procession was in full effect until the HRT/Lotus pile-up. The futility of trying to overtake at Monaco cannot be understated, it is virtually impossible to overtake unless you have a huge car advantage (Alonso on the backmarkers), you are lapping people (Webber on half the field) or your target is caught napping (Schumacher on Alonso). I enjoyed the race. I recognize that Monaco only rarely produces a nail-biter in exceptional circumstances, but it is still a very different and very cool race. edit: The final result has been released, Schumacher has been handed a 20 second penalty for overtaking under the safety car. Article 40.13 – If the race ends whilst the Safety Car is deployed it will enter the pit lane at the end of the last lap and the cars will take the chequered flag as normal without overtaking. – if any car slows with an obvious problem. Yet again F1 has failed, they declared possibly the only truly exciting move of the entire race to be illegal by having a set of rules that are so incredibly complex that they are a detriment to racing. Doin’ the Hokey Kokey Trains, planes and Automobiles.